Located in Long Branch NJ, Chef Covas Catering offers only the finest five-Star gourmet food for all occasions. Our plated meals are carefully crafted to keep your guests raving about the food. Chef-Owner Lauren Van Liew will personally oversee the entire planning process- from menus and tastings through setup and the details of the event. She works one-on-one with her clients to make sure that every need is met, and that the food and experience are above and beyond their expectations. Our menus are eclectic yet current, highlighting fresh, local products. Our presentations are clean and modern with a touch of old-world charm. 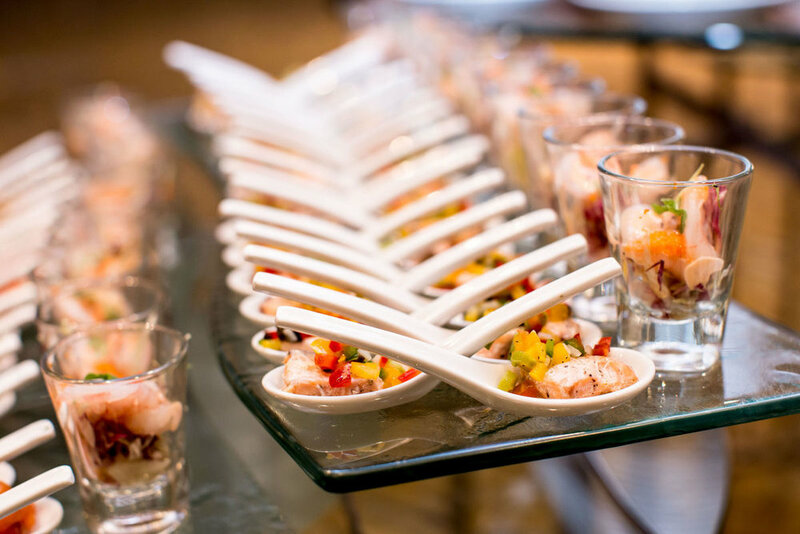 Chef Covas Catering is a creative, driven catering company with a passion for seasonal ingredients and the production of quality, food-focused events. There is no job too big, too small, or too difficult. Whether you are planning a formal dinner party, casual get together, a corporate luncheon, a cocktail reception or a sit down wedding, Chef Covas Catering can handle all of the details and logistics. Chef Covas Catering will completely transform any space for your occasion, be it your office, home, or at a venue that we locate for you. The magic is in the details. Our catering services includes menu development, rentals of china and stemware, table linens, table settings, service staff, bartenders, music, floral designs and more. We at Chef Covas Catering believe that your event planning experience should be as simple and consolidated as possible, which is why we handle everything and anything that you might need. What makes us different from the rest? Quality ingredients, our attention to detail, and outstanding service. We take great pride in what we do. If you are considering catering an event, contact us today. We'll ensure your event is one you won't forget. Meet the chef. Lauren Van Liew (formerly Covas) is a passionate and experienced chef who pours her heart and soul into not only her food, but also event planning. Her mission is to make every event one that is unforgettable. She personally oversees all production so that she can ensure a stress-free event for the host- as we take care of all of the details. She can work with any vision and budget to make a dream come true! AND... she's a Food Network Chopped Champion!